Hop into your cheap Galway car hire and get out of the city for a while. For lovers of the nature and the great outdoors, it is well worth taking a trip to the Connemara National Park. 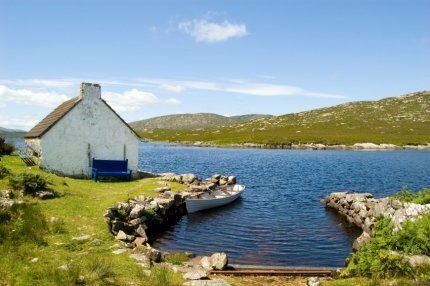 This is located in a Gaeltacht area, which means that Irish is spoken by the people there. The national park covers an area of 2,957 hectares, which largely consists of heath, mountain, woodland and bog. Its beauty makes it one of the most scenic areas in the whole of Ireland. Three main walking trails offer great access to some of the most stunning locations, while there are also picnic areas and children’s play parks where you can take a rest. Another great spot to see in Connemara is Kylemore Abbey, a structure which many consider Ireland’s most romantic castle. Visitors flock here from all over Ireland and the world, and it is viewed as perhaps the main tourist attraction in the area. The Victorian Walled Garden is a highlight, while there are woodlands to explore and ancient buildings to enjoy. Photographers should make sure that they take their camera, as they will find some great locations for snaps and more serious photos. Again, there is a tea room and cafe where visitors can find sustenance after a day exploring the castle.